Find a bike you love. Goldhawk. The home of the performance flat bar bike. Beautiful hand made steel frames, paired with a carbon fork and the latest tech combine to deliver an outstanding and exciting ride. Designed in house, engineered by engineers, built in London. 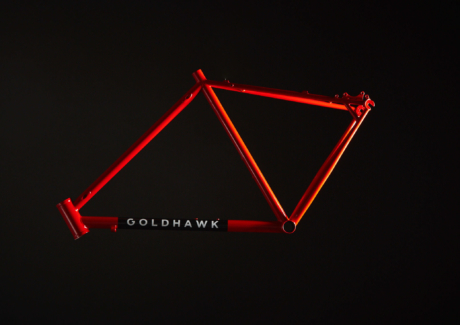 Stand out from the crowd on a limited edition Goldhawk. ....handling and control from the flat bar configuration. A hand made Reynolds frame for the exceptional ride quality you only get from steel. 520 tubing, the modern equivalent of the iconic Reynolds 531 for a lively response when the power goes down. ....Straight bladed carbon EVO fork. SRAM Level T hydraulic disc brakes. Internal brake lines front and rear. 1x11 gearing. Incredible range and simplicity. Our bespoke CNC machined 48t chainring. 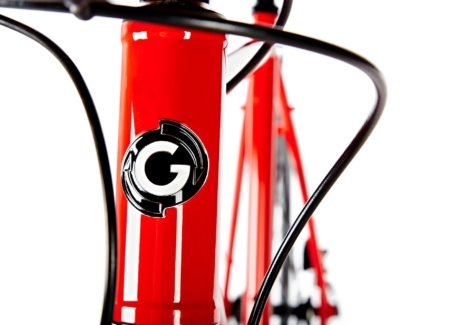 Unhappy with the ride experience from a drop bar and frustrated that so many flat bar bikes were seen as dull commuters or cheap 'hacks', Jeff, founder and designer at Goldhawk set out to challenge that view. With some clear ideas and a lifetime of riding experience, Jeff went about creating a fast, fun and versatile frameset, developing and refining the Goldhawk geometry and style over three years and thousands of miles. Built to order in London, each one takes around 10 days. Completed bikes can be collected in person or delivered. Contact us for International Shipping. For customers wanting custom options, perhaps gravel or cyclo cross tyres, a different cassette, single speed, internal gears or accessories, just get in touch. No one knows a Goldhawk like us and we're always on hand for help and advice. Contact us if you'd like to arrange a test ride. Take advantage of our Extended Returns Policy. If your Goldhawk is clean, undamaged and unmarked, but just not right for you, send it back and we'll arrange an exchange or refund if all is good. 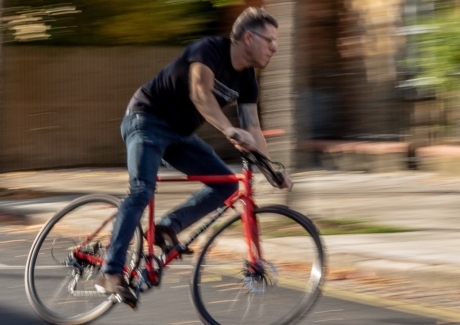 Jeff Rutland, founder and designer at Goldhawk was the Engineering Director at an oil tech company, but when an opportunity arose to change track and follow his love of cycling, he took the plunge, turning Goldhawk from an idea to reality. 'I've spent my life in design and technology, from exploration to aerospace, even the humanitarian sector, so with Goldhawk, I was able to put my engineering skills to work. I don't race and I'm not in a club. I ride a lot and like to ride fast, just for the sheer enjoyment of it. I didn't appreciate being pigeon holed by what I should ride and how I should ride and became increasingly aware of others feeling the same. I've seen Goldhawks used for urban, road, touring, commuting, cyclocross and gravel riding, so I reckon they're pretty versatile.